Kicks of the Day: Vans California Mid Skool '77 Hiker "Fleece"
Vans California is known for its run of more elaborate makeups, as seen here with the Mid Skool &apos;77. 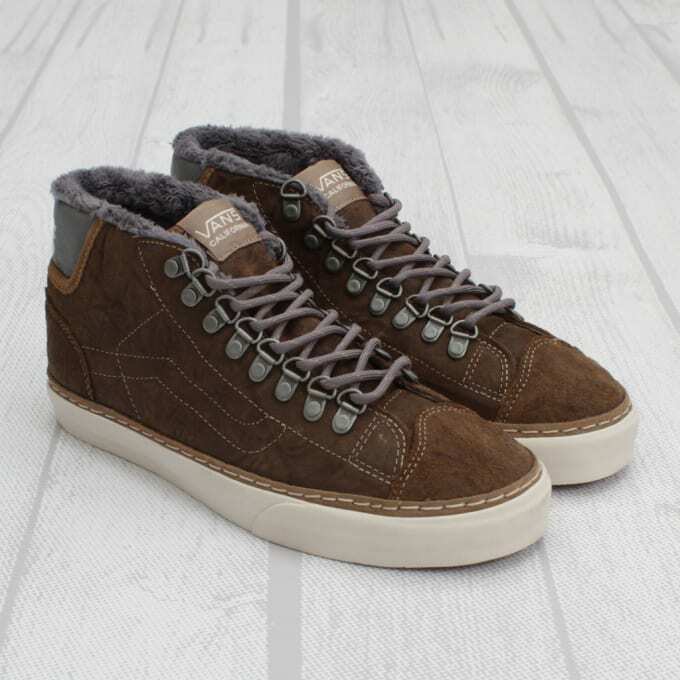 The classic Vans drop receives a winterized twist with the addition of D-ring lace loops and a thick fleece lining. The upper is comprised of brown suede, while additional hits of silver have been implemented on the patch at the ankle. Cop the cold weather go from Concepts for $85.